Worcester (Mass.) 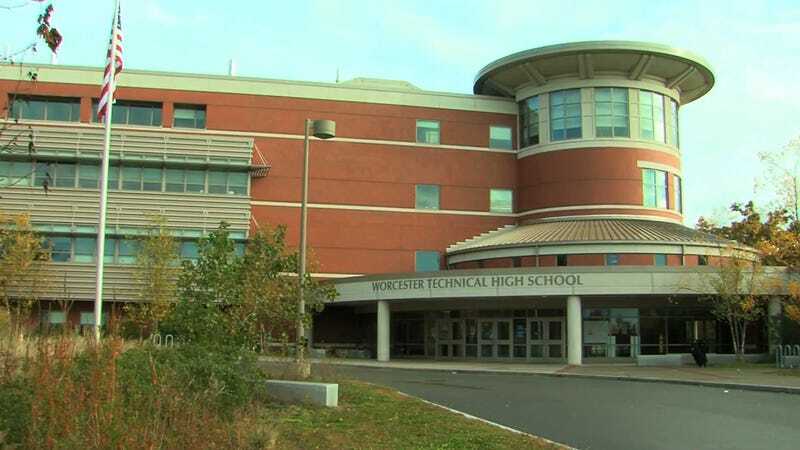 Technical High School announced Thursday that it had canceled the last two games of its football season as the school and police conduct an investigation into alleged hazing, according to Worcester Magazine. Officials started investigating on Tuesday after receiving a complaint from a guardian, according to [Director of School Security Rob] Pezzella. To be clear, this is a completely different case than the two October hazing investigations which involved five JV players at a Maryland high school, and a group of players at a high school in Virginia. Know more about what happened? Drop a line at tips@deadspin.com.